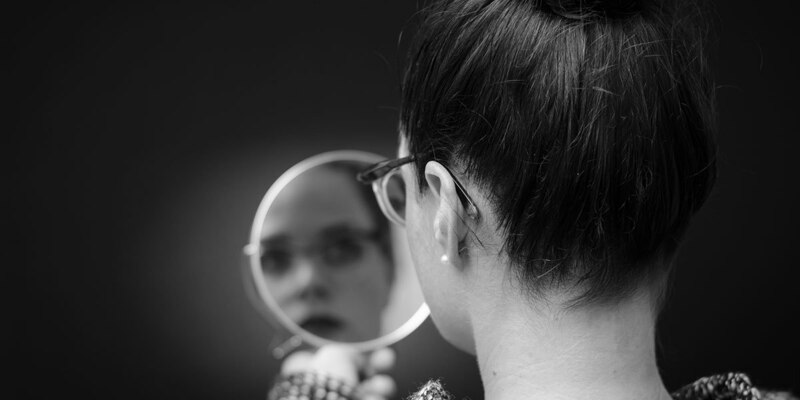 Millions of people look in the mirror each day and see a reflection of someone they don’t like very much. They overlook any positive attributes they have and only see their faults, flaws and failures. They feel shame, embarrassment and maybe even anger toward themselves. Part of the reason we suffer from poor self-esteem is a discrepancy between our expectations and our reality. We have all conjured up ideas of who we 'should' be, how we should look, act, think, feel and be regarded by others. When we don't meet our 'should standards' our self-esteem and self-confidence are adversely affected. Low self-esteem can result from a variety of factors, according to Celeste Gertsen, Ph.D., a clinical psychologist in Port Jefferson, Long Island, who specializes in helping people overcome self-esteem struggles. "Low self-esteem can stem from problems in the family, societal problems (such as poverty or discrimination) or an internalization of loss," she says. Low self-esteem can develop at a young age. "It starts early, as soon as we're old enough to know our own name, possibly sparked by the desire to get our needs met. We all have a need for attention, love, safety, affirmation and belongingness." As we mature, we learn that we have some control over getting these needs met. When these needs aren't met, however, we look for reasons why. Some people automatically assume that the rejection is personal, either because they weren’t charming enough or they are just flawed in general. We don’t think so much that it could be other reasons such as choosing the wrong type of friends, living an unhealthy lifestyle, or that it may simply be a matter of poorly developed social skills. Regardless of our experiences, some people seem to struggle more than others with low self-esteem. The question is why. One of the answers human behaviour specialists cite is that low self-esteem stems from a shaming mentality. In shaming environments, individuals internalize the idea that if they act out, they’re not just behaving badly, but they are bad. A young child sneaks a cookie from the cookie jar - is he or she told that is the wrong behaviour, or that he or she is a bad boy or a bad girl? If the message that you are fundamentally bad is drilled your head enough times, a person will conclude they are bad enough that it taints their entire perspective on life. Good things that happen to them are accidental and bad things are what they truly deserve. This thought pattern only serves to reinforce their shame. Many people internalize negative events and see negative events as permanent and all encompassing while others see one negative event as temporary. In contrast, believing that you are a generally good person who makes mistakes helps you to accept your flaws and work on them. The key to changing this cycle is to adjust our distorted perspective of ourselves so that we can more effectively and successfully work through our low self-esteem issues. Trying to help someone accept that they are OK can be as difficult as telling them something they always believed like the sky is green when it is actually blue. Initially, it seems unthinkable: It just can't be. We sometimes allow low self-esteem and its accompanying distorted perspective to serve as an anti-strategy that actually brings us comfort. People might think: "If it's always my fault, I don’t have to confront anyone or feel ill will toward others," even though asserting your boundaries and being able to communicate effectively with others are essential tools for healthy relationships. Similarly, for some, taking an accurate look at their limitations and even strengths can be sobering. Since self-acceptance doesn't mean we have to be joyous some of us may be wary of assessing our attributes. Both strengths and weaknesses could mean we have some work to do - using our talents or working on our shortcomings. When working with clients to improve their self-esteem and their image, I encounter various challenges. Clients might lack social support, or they repeat behaviours that create negative results or dismiss or don't appreciate their positive qualities. Fortunately, there are experts who can help people with extremely low self-esteem and I don’t hesitate to make referrals for my clients when their self-esteem issues are beyond my scope to treat. In many less critical cases, I simply help my clients to slowly gain some perspective and see that while they may have work to do in one area (denial, procrastination, ambivalence) they have many other qualities of equal or greater importance intelligence, charm, loyalty, kindness, for example. Doing volunteer work can help someone chip away at their low self-esteem because it is harder to simultaneously hold onto self-hatred when you're actively engaged in acts of charity. It is far more difficult for people to rationalize that they are a bad person if they’re helping others. When people begin to care for others they are doing, feeling and creating goodness for themselves. It is far more difficult to say: 'I made someone's life better today but I’m no good.' Jennifer Grant can help you overcome self-esteem, issues and in doing so enhance and improve your personal and professional image.